FesticineKids is a film festival oriented to the promotion of the industrial development of Colombian films for kids and adolescents, as a complex specialty of filmmaking. This year, FesticineKids reaches its 19th edition and under the slogan “A dream unites us, cinema unites us”, wants to join efforts that pursue the strengthening of the Colombian cinema in the areas for childhood and adolescence. That’s why, its screenings will be especially directed to highlight the work of those Colombian filmmakers concerned to offer kids and adolescents quality cinema that not only reflects their dreams and concerns, but also testifies the cultural diversity that inhabits in each region of the country. 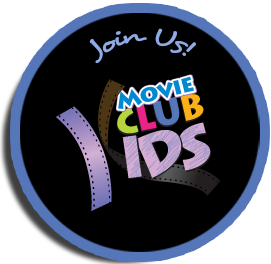 With this edition, FesticineKids wishes to celebrate and become a participant of this cinema and this diversity. Official competition of feature films: It hosts films of any genre, aimed at children and young people and that preferably narrates stories close to the everyday experiences of girls, boys and adolescents, whose stories take into account their concerns, interests and needs around friendship, love, sexuality, education, family, human rights and values, and culture. In this section will compete foreign and Colombian productions. 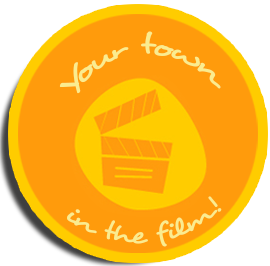 Official competition of short films:It’s a window of the world’s short films in the field of children’s and youth’s films. It will bring together Colombian and foreign works of any genre, not exceeding 20 minutes of duration, and whose stories are aimed at children and adolescents between 8 and 17 years. the process of circulation and screening of Colombian short films for kids and adolescents. This category, besides being a window of national short films, constitutes a possibility to introduce boys and girls cultural diversity and miscegenation that characterizes our country. The works registered in this section also will compete in the official competition of short films. Experimental Kids: The Experimental Kids, is a competition of short films made by students of public institutions of the city of Cartagena and the State of Bolívar. 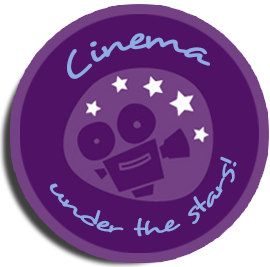 Its purpose is, to promote filmmaking production by kids and adolescents and the formation of new filmmakers. Registration fee: The registration of the productions in any category is free of charge. Nationality of works: To the official competition of feature films and short films may be registered Colombian and foreign works, as well as coproductions. There will be no limit on the number of registered productions per country. In Colombia in Shorts section may only be enrolled short films made in Colombia or national co-productions. The Experimental Kids only accepts works made by students of public institutions of Cartagena and Bolivar. Year of production: In the FesticineKids 19 sections may only be submitted works created between 2015 and 2017. Language and subtitles: In each competitive section, may be registered movies filmed in any language. However, the works performed in a language other than Spanish will must have subtitles in Spanish and English, or to be dubbed into Spanish and to English subtitles. In other cases, a copy of the original script in Spanish or English must be sent. Application form: Regardless of the section chosen for the registration of a work, its formalization requires the filling of the form designed for that purpose. The registration form can be downloaded from www.festicinekids.org/inscripcion/. PRODUCTIONS WITHOUT REGISTRATION FORM WON’T BE ACCEPTED. Via festhome.com: Through this media, you can send the screener and detailed information of the work. 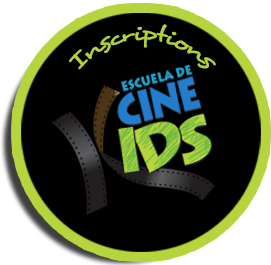 However, an email to inscripciones.festicinekids@gmail.com, must be sent with the registration form in PDF format. a screener of the production in DVD, the registration form and a brief review of the bio–filmography of the director, must be sent. If it is necessary, in addition of the screener and the form, you shall send a copy of the movie dubbed or subtitled in Spanish or dubbed or subtitled in English, and a copy of the script in Spanish or English. Applications must be submitted by Tuesday June 30th, 2017. The package must be marked with the inscription NO COMMERCIAL VALUE, WITH CULTURAL PURPOSES and should be sent exclusively via FedEx. It is important to send to the festival an email with the invoice of the shipment, so that the Department of Import and Export can make the appropriate follow–up so that the film is received by the festival safely and on time. Moreover, the application form must also be sent to inscripciones.festicinekids@gmail.com in pdf format. c. Vía e–mail: Those who choose this option to register their productions should send the registration form duly completed and a screener of the work downloadable from platforms like Vimeo and We Transfer or the like which can be used. All of this must be send to the e–mail inscripciones.festicinekids@gmail.com. In addition, you must send a brief review of the bio–filmography of the director accompanied of a photo. The registration form, the screener and the bio-filmography of the director, are essential requirements for the registration of a work. 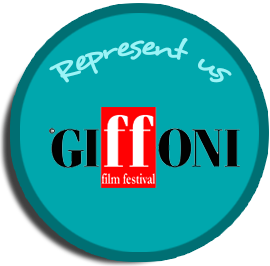 The director of the Festival, with the advice of the Selection Committee reserves the right to accept, choose or invite the films participating in the contest. Twitter: @FesticineKids; Instagram: @festicinekids; Facebook: Festicinekids Foundation). The filmmakers of selected productions must submit one copy on DCP of the selected work, a DVD or CD data with the press kit for the film, the trailer and photos of the work. Copies of works and data discs of selected films must be at the Festival before July 30, 2017 and should be sent exclusively via FEDEX. It is important to send to FesticineKids, via e-mail, a shipping invoice so that the Department of import and export of the event make appropriate follow–up so that the film is received by the Festival safely and on time. The return of the works will be at the Festival expense and will be sent to the addresses specified in the registration form. 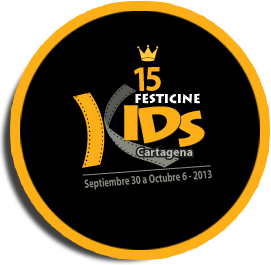 Jury: The FesticineKids 19 will have two groups of jurors: one composed of three (3) professionals from the film industry and another of thirty (30) children and teenagers from schools in Cartagena and Bolivar and other parts of Colombia who will elect the winning productions of each category representing the public. Screening rights: The films selected to form part of each section of the festival will be screened only by the Festicinekids Foundation free of charge. Screenings that are part of the FesticineKids 19 and its replicas are done also in other municipalities and cities of Colombia.The inclusion of such works in the programming of other educational projects developed by the Foundation, requires prior permission of the authors. This call and regulations can be extended and/or modified. Possible changes may be consulted on pagewww.festicinekids.organd through email inscripciones.festicinekids@gmail.com. Questions and/or clarifications regarding this call and regulations will be addressed in the e-mail inscripciones.festicinekids@gmail.com. The registration of a film constitutes acceptance of these rules. The Festicinekids Foundation is a non-profit organization established on July 1st 2008 with the aim of providing cultural, recreational, educational, communications and technical services to children and adolescents, both in the field of film industry and visual arts. Its constitution is the result of the consolidation of the International Cartagena Film Festival for Children and Youth, founded by Gerardo Nieto Nunez in 1998. Since its creation, it took the realization of this Festival, which has since, from its version number 10 it is called Festicinekids Cartagena. After six years, the foundation has accomplished to consolidate a cultural proffer that allows it to offer open cultural activities to the community and implement programs and projects that contribute to social and cultural development of the country and in particular the film industry. Standing out as an interested entity to facilitate access of children and adolescents to cultural goods and services, offers during the festival week different activities such as: Tributes, Closing, Opening, Workshop, Movie Bike Tour and free tickets to movies throughout the week of the event. This Festival is primarily aimed at all schools in the city, both public and private that want to participate and also to the general public, children, youth, teachers and parents who want to enjoy with their children.